Pessimism about the ability of people to make profound changes in their ways of being at work and at home is embedded in our discourse, not only about others, but about ourselves. “I am too old to change” is something we start to say about ourselves from about age 30 or 35. “He is too set in his ways” is something we hear managers say repeatedly when talking about the need to change how someone in the team relates to the others. “You may be able to smooth the rough edges a bit, but she will find it too painful to behave in ways that contradict her basic personality”, is something I have heard before. “A leopard can’t change his spots” is a common way of suggesting that behaviour is fixed, and it’s a waste of time trying to get people to be different – and even if they do change for a while, their old behaviour will reassert itself under stress. This pessimism is reinforced by the use (perhaps misuse) of personality tests that tell us who we are and tell managers what they can reasonably expect from us. Myers-Briggs tells us in four letters whether we are introverts or extroverts, decisive or giving, demanding or accommodating, or conservative and old school. So that’s who we are, and managers learn to work with and around these traits. AND YET, from my own experience over decades, I have quite often seen something quite different and much more optimistic. Emma is a West African working in an International development agency. She comes to coaching because she has been told that while she deserves to be promoted, she needs to moderate her overly assertive behaviour towards her colleagues, particularly in meetings where she argues tenaciously to have her way of doing things implemented. She describes herself as “a bully”. In coaching conversations, it emerges that Emma is passionately committed to her work, and fears failure above all else. She needs to get her way or things just won’t work, or might not work, which is too big a risk. She sees herself as a “lone warrior” – and for a lone warrior even a single defeat means (metaphorical) death. Over months she comes to see that building bridges and building teams is more effective than going into battle all the time. She learns to listen, to intervene occasionally and to let others take the lead. Sometimes she acknowledges she is wrong, or simply lets things go without disastrous consequences. She describes this as a “life changing experience” and takes pride in the leadership of others. I have seen versions of this profound change in colleagues confronted with “sink or swim” moments, or where the challenge of meeting their career goals has forced them to make difficult changes, or simply when exposed to a quite new set of experiences that fundamentally challenge what they have always “known”. In 1982 developmental psychologist Robert Kegan published a profound thesis on how individuals evolve throughout their lives, through a series of stages. Between these stages are moments of “evolutionary truce” where the “personality” is in harmony with the individual’s stage of development. The requirements of the next stage of development disrupt the truce, and a difficult process of change follows. People may get “stuck” in phases that are not appropriate to their stage of life, causing great stress and dysfunction. It is a convincing, if sometimes difficult argument for the possibility of continual growth and development, aided, when necessary, by skilful therapeutic interventions. Two decades later, Kegan and his colleague Lisa Lahey had transformed the notion of “evolutionary truce” into a wonderfully useful explanation for why people find change so difficult. They describe what they call an “Immunity to Change”. This is a way of being and acting in the world that keeps us safe (as immune systems do), by protecting us from what we fear. 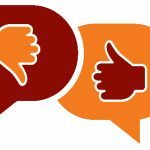 If we fear the dislike of our colleagues, we will act in ways that keep them liking us, so we probably will find it very difficult to hold them accountable for poor quality work. Or if, as in the case of Emma described above, we have to have things done our way, then we can never lose an argument or let people do things their way. It’s not safe. The immune system described by Kegan and Lahey keeps us safe as we are – and in doing so, prevents us from changing. We are controlled by our hidden commitment to being liked, or always winning the argument. It is only when a crisis or profound need forces us to seek behaviours outside our immune system, that the system itself becomes dysfunctional and keeps hooking us back to our old behaviours. a change in organisational structure or technology requires new behaviour. to settle into a new evolutionary truce. This means that one can live comfortably with the new behaviours and more mature personality – at least until the next serious challenge comes along, requiring further adaptation. Kegan and Lahey elaborate on a useful methodology for understanding and moving beyond the immune system. For the purposes this note, however, the optimistic message is that such change is possible – the leopard can indeed change his (or her) spots. 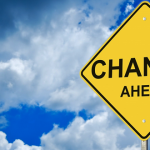 Spotting those moments when change is both necessary and desirable is an important role for managers and human resource officers, and an opportunity to be seized. These moments may often arise when performance reviews are underway, or when managers are getting feedback from 360-degree reviews of how they are perceived by colleagues and managers, and particularly after a sincere commitment to doing things differently has failed yet again. The gap between desired behaviour and actual behaviour may be attributed to laziness or a lack of interest. But it is more likely to derive from a person’s inability to change, trapped as they are in an immune system that has become dysfunctional. Trying to “performance manage” change will only add to the person’s discomfort. It is far better to provide skilled coaching support which can facilitate real, systemic and sustained change.